Hawaii is the perfect getaway if you’re looking for a tropical escape, without the hassle of international travel. You’re far enough away to leave the stress and worries of your everyday life behind, yet still surrounded by the familiarity of being in the U.S. The state of Hawaii consists of eight main islands with Oahu, Maui and The Big Island being the most popular tourist escapes. This month we’re featuring beautiful Maui in our city spotlight. I finally got the chance to check this destination off my travel bucket list and it was well worth the wait. Maui entices vacationers with its miles of pristine beaches and lush scenery filled with extraordinary volcanic landscapes, orchid-strewn valleys, and culturally unique villages. I found the island's main charm to be its nature. Make sure you make your way off the resort and truly experience all the island views and vegetation. Here are my 3 Must Do and Must Eat while visiting Maui. It’s worth the splurge to rent a car so that you can drive the meandering road to Hana and stop off at the myriad of scenic marvels like lush tropical landscapes, waterfalls and breathtaking brown, red and black sand beaches along the way. Even if you don’t make it all the way to Hana, it is still worth it to adventure down the Hana Highway and stop off for an afternoon hike or see the Twin Waterfalls. Don’t forget comfortable shoes and allow yourself plenty of time as this is an all day excursion, with the option to spend the night in Hana or turn back that evening. Click here for a great article on Road to Hana travel tips. One of the many ocean views along the Hana Highway. Haleakala is inactive volcano and the highest view on Maui at 10,000 feet above sea level. It’s the ideal spot to watch the sunrise or sunset as it provides a unique view above the clouds. The only caveat to watching the sunrise is that you have to get up super early (like 3:00-3:30) in order make your way to the top before the sunrise. If you’re coming from the mainland, it’s usually best to check this out the first morning since it should be easier to get up due to the time change. Not sure whether to visit during sunrise or sunset? Click here for an article on pros and cons of both options. If you don’t feel like driving yourself, there are also several tours that can chauffeur you, including one option to bike down the volcano once you arrive at the top. Of course no visit to Maui is complete without time spent at the beach. Although there are many popular Maui beaches, Hamoa Beach was my favorite surrounded by spectacular lava cliffs. Its postcard worthy setting is the perfect backdrop to any day at the beach. 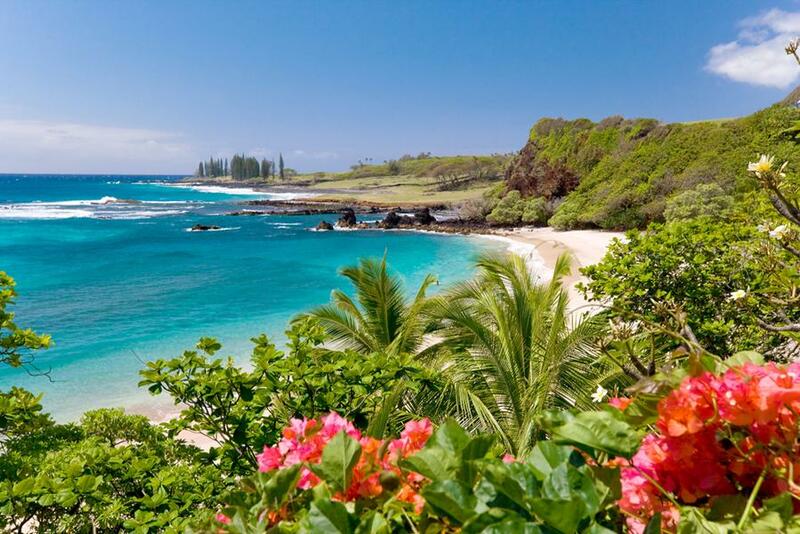 Kapalua Beach is also worth a visit and is a great spot to do some snorkeling. If you’re interested in checking out some great surfers, try Ho'okipa Beach Park located on the island's north shore. There's a reason why Mama's Fish House is revered by locals and tourists alike: it features freshly caught seafood prepared with consummate skill. The name of the fisherman or vessel your seafood was caught is even listed on your menu, which is printed daily. Not only is the food unparalleled, but the ambience is unmatched, with the ocean as your view and the inside meticulously decorated with quirky, beach themed décor. Mama's Fish House sits beach side. If you're hoping to enjoy a reasonable but delicious fare, stop by The Flatbread Company located in Pa'ia on the road to Hana. Flatbreads are loaded with delicious ingredients of your choosing and baked in a wood-fired clay oven. It's a great place to enjoy a meal with family and friends. If you aren't sure what to order, Mopsy's Kalua Pork is a local favorite and a sure win. Star Noodle is a popular noodle eatery a bit off the beaten path. Located in Lahaina, this cozy wood trimmed restaurant features Asian shared plates with Hawaiian influences. Their signature garlic noodles and steamed pork buns are not to be missed. Have you visited Maui? What have been your favorite things to do and places to eat?